Earlier today I got an e-mail I have been looking forward to for 3 months! The contents of the e-mail were really not as important as the sender and no, it wasn't from Publishers Clearinghouse. 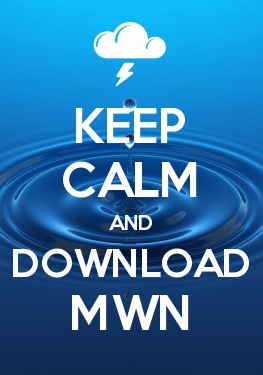 If you have been following the saga of the MWN iPhone app, you know a major update was submitted to Apple in mid-September and that nearly 4 months has passed since then, with neither an approval or rejection from Apple (see a previous post on the topic from December). Last Thursday, I finally made contact with a human - a support specialist at Apple who promised to assist however he could in moving the process along. It appears that that broke the logjam loose and the app emerged from purgatory today. Now before you get too excited, though it finally got a look from the App Review Team, it was rejected for inclusion in the App Store. SO, while I am thrilled that at least it isn't just sitting in no-man's land, we still have a little work to do. Fortunately, it's not major work (honestly, I think after 4 months Apple couldn't approve the app without looking incredibly stupid, so they got nit-picky). Within a few days, we should have the app ready to go again and will have it back to Apple for another review. My hope is that this time it will require a "more typical" review time of approximately a week, but I no longer hold my breath with Apple. I'll continue to keep you posted. iPhone and iPad users: thanks for your patience. I can assure you that the updated app is worth the wait! In the meantime, if you aren't familiar with StormWatch+, learn more about it so that you are ready to purchase once it gets released! This is why I am a Droid man! Michael - I had an upgrade available at Christmas with my Samsung Android phone. Considered the iPhone 4S, but with my app stuck in the review process, I had no choice but to stick with Android again. Glad I did too!